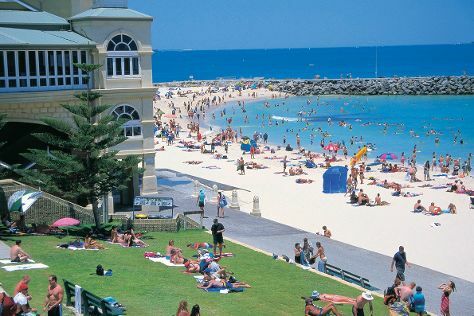 Your day-by-day itinerary now includes Scarborough Beach, Northbridge and Cottesloe Beach. On the 3rd (Sat), you'll have a packed day of sightseeing: appreciate the history behind Kings Park War Memorial and then kick back and relax at Scarborough Beach. To find where to stay, other places to visit, more things to do, and more tourist information, read Perth trip maker . If you are flying in from Germany, the closest major airport is Perth International Airport. In August, daily temperatures in Perth can reach 22°C, while at night they dip to 9°C. Cap off your sightseeing on the 5th (Mon) early enough to catch the ferry to Rottnest Island. Rottnest Island is an island off the coast of Western Australia, located 18km west of Fremantle. 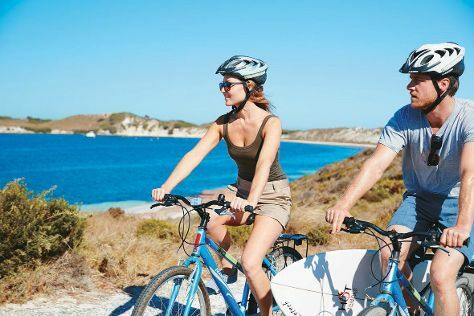 You've now added Rottnest Island Pedal and Flipper to your itinerary. Kick off your visit on the 5th (Mon): get outside with Rottnest Island Pedal and Flipper. To find reviews, photos, ratings, and tourist information, go to the Rottnest Island holiday planner . Getting from Perth to Rottnest Island by ferry takes about 1.5 hours. Other options: do a combination of ferry and taxi; or do a combination of ferry and train. In August in Rottnest Island, expect temperatures between 22°C during the day and 9°C at night. On the 6th (Tue), you're off toPerth. 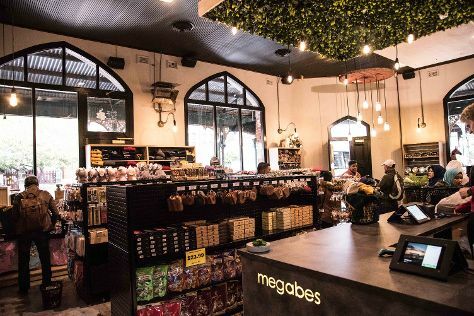 Fremantle Markets has been added to your itinerary. For photos, traveler tips, reviews, and other tourist information, read Perth trip maker site . You can ride a ferry from Rottnest Island to Perth in 1.5 hours. Other options are to do a combination of taxi and ferry; or do a combination of train and ferry. 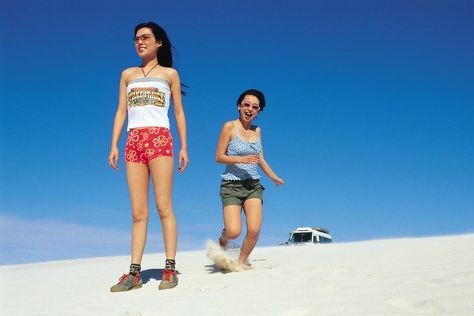 Finish up your sightseeing early on the 7th (Wed) so you can travel to Lancelin. Lancelin is a small fishing and tourist town 127 km north of Perth, Western Australia. You've now added Lancelin Sand Dunes to your itinerary. Plan my trip to Lancelin with suggested itineraries provided by Inspirock. You can drive from Perth to Lancelin in 2 hours. In August, daily temperatures in Lancelin can reach 22°C, while at night they dip to 9°C. On the 7th (Wed), wrap the sightseeing up by early afternoon so you can travel to Cervantes. Cervantes is a town in Western Australia off Indian Ocean Drive about 198km north-north-west of the state capital, Perth in the Shire of Dandaragan local government area. 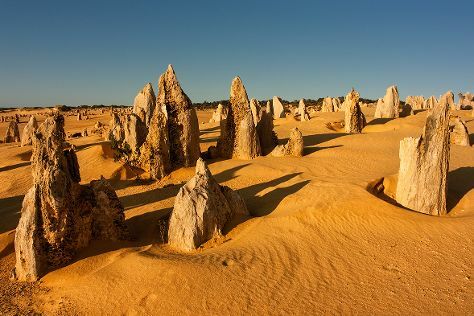 You've now added The Pinnacles Desert to your itinerary. To find other places to visit, more things to do, reviews, and other tourist information, use the Cervantes attractions planning app . Traveling by car from Lancelin to Cervantes takes an hour. Finish up your sightseeing early on the 8th (Thu) so you can go by car to Kalbarri. Isolated and lapped at by the warm waters of the Indian Ocean, the town of Kalbarri boasts a picturesque location amid the dunes and sands of westerly Western Australia. Your list of things to see and do now includes Hutt Lagoon, The Loop and Z Bend Gorge, Nature’s Window, and other attractions. Start off your visit on the 8th (Thu): contemplate the waterfront views at Hutt Lagoon and then take some stellar pictures from The Loop and Z Bend Gorge. On the next day, contemplate the waterfront views at Murchison River and then explore the striking landscape at Nature’s Window. To see other places to visit, more things to do, photos, and tourist information, read our Kalbarri trip itinerary planning app . Traveling by car from Cervantes to Kalbarri takes 4.5 hours. Alternatively, you can do a combination of bus and taxi. Cap off your sightseeing on the 10th (Sat) early enough to go by car to Denham. Denham is the administrative town for the Shire of Shark Bay, Western Australia. Your list of things to see and do now includes Hamelin Pool Marine Nature Reserve, Monkey Mia, Francois Peron National Park, and other attractions. 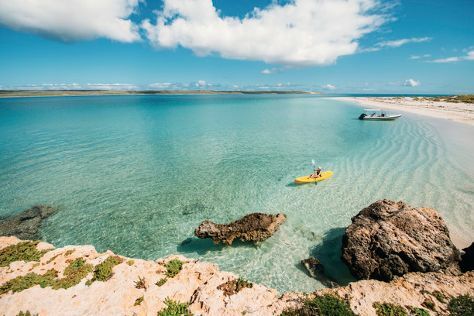 Kick off your visit on the 10th (Sat): look for all kinds of wild species at Monkey Mia and then explore the striking landscape at Hamelin Pool Marine Nature Reserve. On the 11th (Sun), you'll have a packed day of sightseeing: tour the pleasant surroundings at Shell Beach, then go for a stroll along the water at Shark Bay, and then explore the striking landscape of Francois Peron National Park. To find ratings, reviews, photos, and other tourist information, read Denham day trip site . Drive from Kalbarri to Denham in 5 hours. Alternatively, you can do a combination of taxi, bus, and shuttle. Cap off your sightseeing on the 12th (Mon) early enough to travel to Carnarvon. 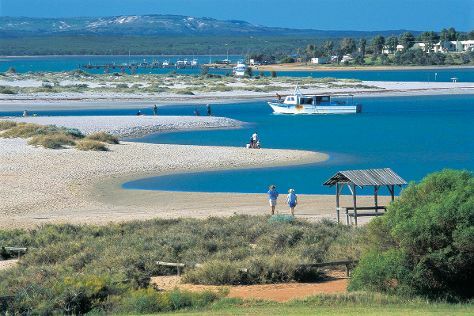 Carnarvon is a coastal town situated approximately 900km north of Perth, Western Australia. You've now added Carnarvon Space and Technology Museum to your itinerary. For where to stay, other places to visit, reviews, and more tourist information, use the Carnarvon visit site . Traveling by car from Denham to Carnarvon takes 3.5 hours. In August, daytime highs in Carnarvon are 28°C, while nighttime lows are 13°C. Wrap up your sightseeing by early afternoon on the 12th (Mon) to allow enough time to travel to Exmouth. Exmouth is a town on the tip of the North West Cape in Western Australia. 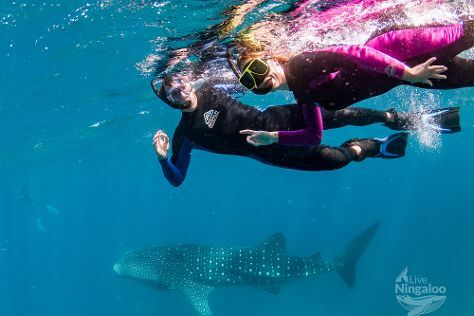 Your day-by-day itinerary now includes Cape Range National Park as well as Live Ningaloo. On the next day, take a memorable drive along Cape Range National Park. For where to stay, photos, maps, and more tourist information, read our Exmouth online attractions planner . You can drive from Carnarvon to Exmouth in 4 hours. Another option is to fly. In August, daytime highs in Exmouth are 31°C, while nighttime lows are 13°C. You will have some time to spend on the 15th (Thu) before leaving for Karijini National Park. Your day-by-day itinerary now includes Weano Gorge (Handrail Pool) as well as Karijini National Park. To find where to stay and more tourist information, read Karijini National Park visit planner. You can drive from Exmouth to Karijini National Park in 7.5 hours. In August in Karijini National Park, expect temperatures between 32°C during the day and 14°C at night. On the 17th (Sat), you'll have the morning to explore before heading off to Port Hedland. Port Hedland is the second largest town in the Pilbara region of Western Australia, with an estimated urban population of 15,191, including the satellite town of South Hedland, 18 km away. For photos and tourist information, you can read our Port Hedland route maker website . Traveling by car from Karijini National Park to Port Hedland takes 4.5 hours. 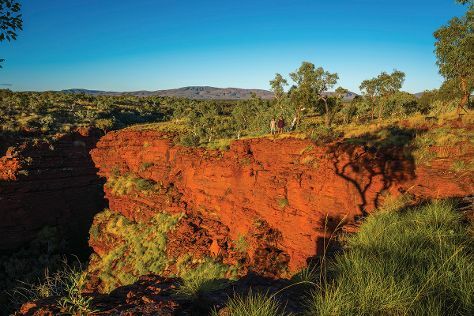 While traveling from Karijini National Park, expect a bit warmer days and about the same nights in Port Hedland, ranging from highs of 36°C to lows of 15°C. Finish your sightseeing early on the 18th (Sun) to allow enough time to travel to Broome. Your day-by-day itinerary now includes Sun Pictures Cinema, Pearl Luggers Tour and Narlijia Cultural Tours. Start off your visit on the 18th (Sun): tour in harmony with nature at Narlijia Cultural Tours. Get ready for a full day of sightseeing on the 19th (Mon): kick back and relax at Reddell Beach, then enjoy the sand and surf at Cable Beach, and then catch a live performance at Sun Pictures Cinema. For maps, photos, more things to do, and other tourist information, go to the Broome vacation maker site . Explore your travel options from Port Hedland to Broome with the Route module. 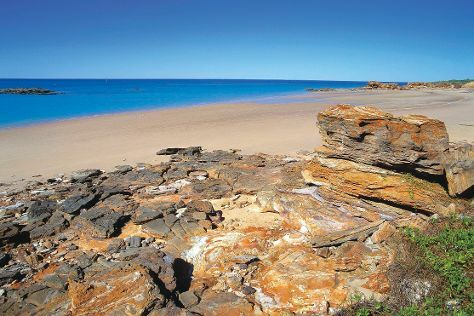 In August, daily temperatures in Broome can reach 36°C, while at night they dip to 17°C. Wrap up your sightseeing by early afternoon on the 20th (Tue) to allow enough time to travel back home.